Temporary relief of pain associated with headache, migraine headache, neuralgia, muscular aches and pains, cold and flu symptoms, arthritis, osteoarthritis, toothache, sore throat, period pain, rheumatic pain. Reduces fever. 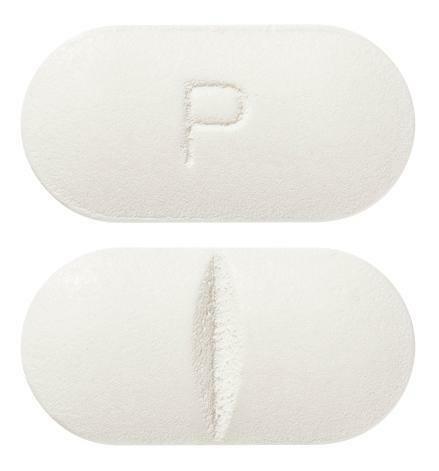 White to off white, caplet shaped tablet with score notch on one side and “P”debossed on the other.